We met the owners at a BNI meeting and they asked us to revamp their site for them. While their site contained most of the content the new one does, it didn't look particularly professional and inviting. 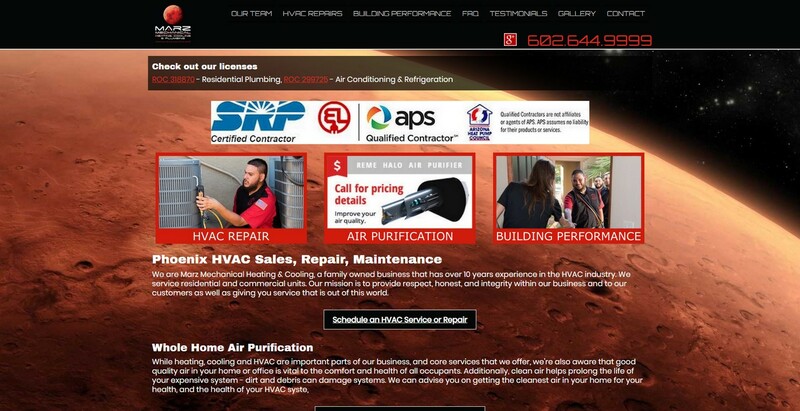 We decided on a background for the website of the planet Mars to match their logo. We added prominent Calls-to-action, and direct links to their ROC licenses. We hear from site visitors that they like to check contractor licenses, so we don't make them work to do that.